Working for RI-ON, he is the son of RI-ON's President Toki. He has been trained to fight in Dragon Drive ever since he was little, proving to be a very powerful elite and the strongest of his team. Toki seems to try to gains his father's love by doing whatever his father tells him to, though he is not fully aware of what will happen when his father has the Jinryu stone. While his main dragon is Raitonaitsunaito, he also has Darx and attempts to control Shinryu in the anime, instead becoming possessed by the dragon itself. In volume seven of the manga, he calls Reiji annoying and attempts to kill him. Later, however, it is he who nears death, is picked up by his father, and is told that he was "truly the hero." 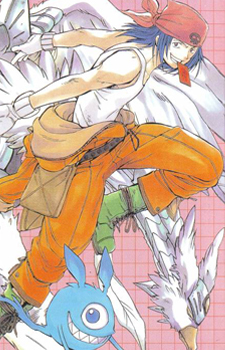 Kohei's phoenix-type dragon is Raitonaitsunaito, a wind-elemental dragon. Extremely durable and quick, can shoot feathers at high speed and create barriers at will. In the manga, Raitonaitsunaito was a light dragon who evolved into a dark one.